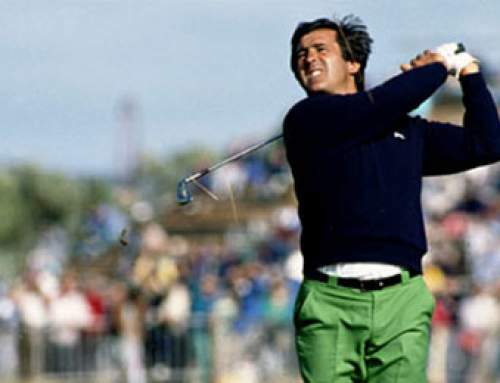 When Nick Faldo was 14 years old he saw Jack Nicklaus playing at the 1971 Masters on his parents’ color tv he was inspired to pick up a golf club himself. Fast forward a couple of years he was a successful British amateur golfer. 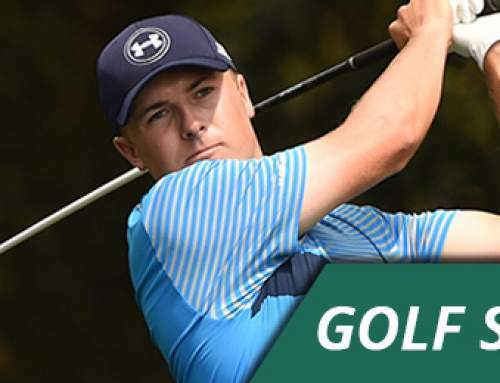 Only 20 years old he became the youngest player ever to qualify for the Ryder Cup. With all he has achieved in his career, even including a knighthood in 2009, I think the most incredible thing about Faldo is how fast he reached a competitive, professional level. Especially when you consider how late he started when compared to other players of his time. With 41 professional wins, including 6 major championships, he will return one last time to the British Open at St. Andrews this year in July. The 57-year-old plans to pay his respect to golf and his own career at the home of golf. Celebrating his 58th birthday during the third round of the tournament my guess is that he will be extra motivated to make the cut. As it’s the British Open at St Andrews – you never know what’ll happen. I’ll definitely make a smiling face while I keep an eye on Faldo during the tournament. In 1983 Faldo had already five victories on the European Tour under his belt. Nevertheless he had the feeling that he needed to refine his swing. 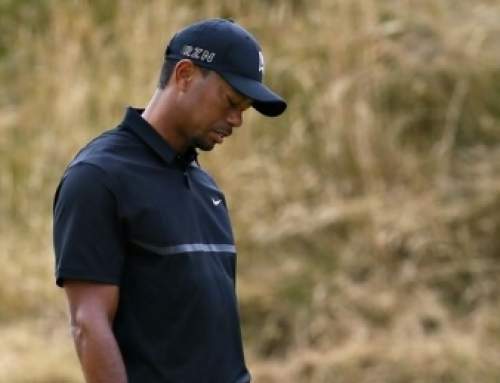 He worked together with David Leadbetter who warned him that it would take some time for the swing changes to settle in and that his performance would probably dip before he could reap the rewards. And that was exactly what happened. After a 3 year struggling period from 1984 to 1987 Faldo came back stronger than before winning the Peugeot Spanish Open in May 1987. 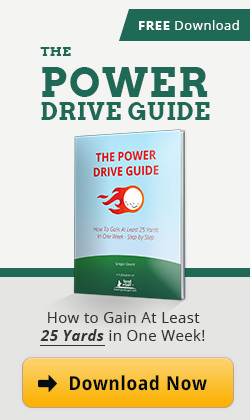 This shows the natural way golf works for almost everybody. Many amateurs think that it’s a linear path from worse to better. That’s a farcry from the truth. In golf you try to learn and ingrain very precise motions. That process takes time and usually always incorporates a phase where everything is out of whack. 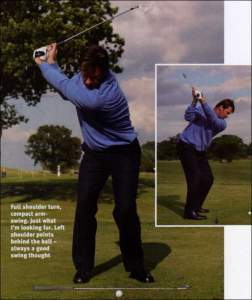 One of the key assets of Faldo has always been his tempo and smooth swing. He says himself that tempo is the glue that holds a good swing together. In his great “A Swing For Life” Nick Faldo Book describes his three musts he would focus on if he had only two minutes with you on the range. The goal of these details is to help you to build a good athletic movement from start to finish. 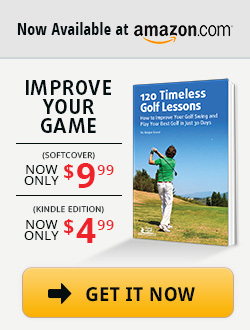 They help you to turn to a complete backswing and unwind to a balanced finish. Knees At Setup – Sharpen your setup angles and engage the core muscles with the weight on the balls of your feet. Center Your Turn – Maintain that athletic flex in your right knee and thigh as you rotate your belly and turn your left shoulder under your chin. Rotate Through – Rotate your right shoulder all the way past your chin to achieve a balanced finish. With a playing career spanning over 30 years Nick Faldo has learned quite a lot on how to compete at the highest level of the game. He also saw the game evolve and is still sharing his thoughts with his television work for CBS Sports and Golf Channel. When you are playing the game focus your mind on what is going to happen through the ball and toward the target. Working on mechanics is an important part of preparing for the game. But when you are actually playing your mind should be always focused on the ballflight and the outcome you are trying to achieve. Faldo is also a big believer in building good habits and working on positive pictures. You can’t trick yourself into good mechanics or something that isn’t there but you can always prepare yourself to play your best golf. If you rush to the golf course and to the first tee without any time to really settle in and leave the stresses and strains of everyday life behind you will have a hard time to concentrate. There’s a story about Ben Hogan that he made it his policy to drive to the course well under the speed limit to help prepare for the day. I think exactly the same way. Take some time to plan some habits you could start doing to build a positive outlook towards your game. What can you do during your warm up, on the course and when things go wrong? How about some stretching and golf specific exercises when you arrive on the range? How about thinking through every hole you are going to play? What are your thoughts about Nick Faldo? Will you follow him this year during the British Open at St Andrews? Feel free to share this article on Facebook or twitter if you liked it.